Glass of Pimms, cucumber sandwiches and perhaps some sunshine….yes it’s Wimbledon season once again and for the next two weeks (29th June to 12th July) some of the best tennis in the world will be played on those hallowed grass courts. But what do we know about this world famous tournament and the game in general? Read on for some fast facts and our top tips from one of the top LTA coaches, plus a look at how athletes – and you – can keep the body in ace condition. 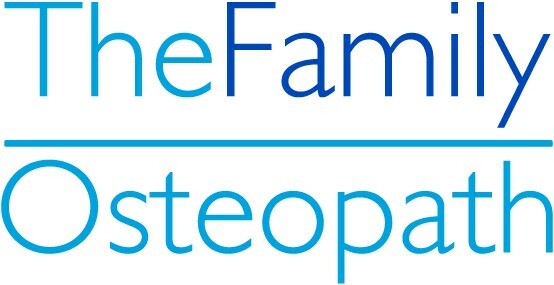 This is the first in a series of newsletters from The Family Osteopath exploring how everyday events and activities affect our bodies and our health. Please enjoy, and send any feedback to care@thefamilyosteopath.co.uk. The musculoskeletal system relies on movement and flexibility to stay healthy and tennis works almost every muscle in your body, so it’s a great way to stay fit. However, it’s also a sport that will throw any current or old injuries into sharp relief, thanks to its need for fast changes of direction and pace. Always warm up and cooldown – a good drill would include stretches as well as light cardio to oxygenate the blood. Stay well hydrated too: pure water’s better than the traditional Barley Water and you should aim to consume at least a litre over an average three sets. If you do injure yourself, take a break right away. Gentle stretching of the affected area can be enough to manage a light injury, but if you suspect something more serious, ice the area and seek expert advice. Naturally, it’s best to deal with any old injuries or weak areas before you take to the court. Of course with the right stretching and some (!) recognition of their limits, most players can enjoy tennis as a lifelong sport. There’s even a story of a 93 year old player in Eastleach! As tennis legend Arthur Ashe said: the ideal attitude is to be physically loose and mentally tight…..
665… the duration in minutes of the longest match in Wimbledon history. John Isner of the US finally beat Nicolas Mahut of France after a total of 11 hours and 5 minutes on court in their first-round match in 2010. 200,000… glasses of Pimm’s drunk during the fortnight. But the traditional drink of Wimbledon gets a run for its money from some other British beverages. Spectators knock back a total of 300,000 cups of tea and coffee and 100,000 pints of draught beer and lager. Q. Wimbledon always gets me fired up to play more tennis, how should I get started? We’re well supported in the UK by the Lawn Tennis Association whose website provides information on places to play as well as how to find a local coach. Tennis is much more accessible than a lot of people realise and it’s not essential to join a tennis club as there are plenty of parks and community venues where one can turn up and play for free. However the benefits of joining a good club are many and varied – ranging from access to good coaches who run organised coaching sessions as well as the social side of meeting like-minded people. Q. How can I get some coaching to improve my game? A. There are various governing bodies within the tennis coaching world, such as, the PTR and RPT which are commonly used in Europe and America, however I can only speak from my view as a coach who has qualified and maintains a license through the Lawn Tennis Association. The LTA are rigorous in their coaching qualification process and coaches cannot progress up the qualification ladder until they pass each examination level. As a licensed LTA coach one is required to follow the Continuous Professional Development programme, ensuring knowledge is current and relevant, as well as maintaining up-to- date first aid, child safety and DBS checks. The license also ensures your coach is suitably insured. Finding the right coach for you is not only about their qualification but also about personal rapport. A busy coaching programme across the age ranges in a local tennis club is a good indicator of the coach’s ability to interact with a variety of people. A conversation with club members can prove useful in choosing the right coach for you as reputation often spreads by word of mouth. Q I’ve missed playing at Wimbledon this year – what’s your top tip for improvement? At whatever level a player has reached there is always improvement to be made. Quite often this can be done by simply slowing down and being more thoughtful in the way shots are played. Taking 20% off the racket speed will increase the chance of hitting the sweet spot in the racket producing a better shot with less effort. Committing to the shot early rather than changing your mind will improve consistency and preparing early will enable contact with the ball in front of the body thereby transferring more weight onto the ball hitting a deeper shot which will prove more difficult for the opponent to play.